Georgian culture is ancient, dating back to at least the 7th century BCE. “Sakartvelo,” the Georgian word for Georgia, is a small country located on The Black Sea, containing many provinces with diverse picturesque landscapes. From the magnificent snow-tipped Caucasian Mountains to its lush fields and valleys, Georgia contains subtropical deserts, as well as alpine zones. A gateway between the Christian West and the Muslim East, Her peoples are known for their hospitality and loyalty. Georgians are also renowned for their bountiful vineyards and are celebrated for their wonderfully diverse, polyphonic music. In 2002 Robins joined forces with Andrea Kuzmich and Shalva Mahakashvili in forming a new vocal trio which they named Zari (meaning “bell and “lament”). The trio has seen five exciting years, with three trips to Georgia, many concerts in Toronto, a CD and well-received performances at the St.John’s Sound Symposium. The three virtuosos bring substantial experience to the group and each offers a unique gift with which Zari achieves its beautiful blended sound. Currently Zari is considered by many to be one of the finest Georgian vocal trios in the world. 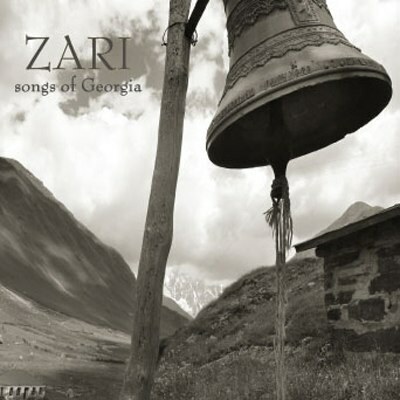 Their first CD, “ZARI: Songs of Georgia” includes earthy renderings of work songs, beautiful love songs, lullabies and moving liturgical pieces. Zari’s repertoire is extensive and they have performed in Georgia in front of esteemed guests such as Georgian President Mikheil Saakashvili, The Patriarch of the Orthodox Georgian Church and well-known master musician Anzor Erkomaishvili. With the current political scene and North American influences making their way into Sakartvelo, Robins is moved by the continued reverence Georgians have for performing and interpreting their ethnic folk musics. “Georgian music is still one of the world’s great secrets.” says Robins. Zari offers it to us beautifully, to delight our hearts and spirits.